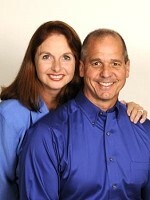 Since 1995, Kim and I have been buying properties at the foreclosure auction. Over time, we’ve built a unique system that’s very effective. It has allowed us to buy many properties pre-foreclosure, at the auction and from banks after the auction. Today, let’s talk about how to work the pre-foreclosure market. When it comes to foreclosures, our best deals come from buying pre-foreclosure! At the foreclosure auction, there are always investors willing to work on much thinner margins than what we’re comfortable with, and so we’re often outbid. On the other hand, when buying pre-foreclosure – that is, before the auction – there’s very little competition. Why? When homeowners are facing foreclosure, because of unfounded fear, few investors will knock on their door. There’s another BIG benefit to buying pre-foreclosure. Since you’re buying from the owner, there are many more creative deal-structuring tools you can use to construct a win-win deal. If you buy at the foreclosure auction, there’s only one tool – a big dang hammer…CASH! There’s no creativity, beauty or imagination when doing an all-cash-on-the-barrelhead deal – nor is it a win-win deal. When working pre-foreclosures, the first step is to find the properties that are scheduled to be auctioned at the next month’s foreclosure sale. In Georgia, foreclosure ads are published in each county’s “paper of record.” This is the newspaper that runs all the county’s legal ads. Call your county’s Clerk of Courts to learn which paper runs the legals, and on which days they’re published. Georgia foreclosure auctions are held on the first Tuesday of each month, from 10 a.m. to 4 p.m., in front of each county’s courthouse. By law, the foreclosure ads must run for four consecutive weeks before the auction! Next, using a foldout map, Kim marks the location of each property advertised for foreclosure. When we get to a property advertised for foreclosure, I knock on the door. When the homeowner answers, we have a conversation about his home and whether he’s considering selling. Let’s stop here for a second. When I’m knocking on sellers’ doors (i.e. someone with a For Sale sign in the yard) 8 out of 10 will invite me in. When someone is facing foreclosure, usually his/her home is NOT for sale – it’s being FORCIBLY TAKEN! For this reason, far fewer of these homeowners invite me in. Folks, a real estate investor’s job is NOT to buy, sell and rent homes. Our job is to help folks solve their real estate problems! With this in mind, we spend time with the homeowner answering all his/her foreclosure questions. With most folks, we’re able to explain how to stop a foreclosure. For those who would rather sell, instead of losing the property to foreclosure, we’re often able to buy it and put money in the homeowner’s pocket. A win-win deal! Of course, there’s more to it than what this brief explanation supplies – especially when it comes to creative deal structuring. But this is a good start!